Amegy Bank was founded in 1989 as Northwest Crossing National Bank. It changed its name to Southwest Bank of Texas. Later in 2005, the name was changed to Amegy Bank of Texas. It is a division of Zions Bancorporation and has its headquarters in Houston, Texas. In the US, transactions into Amegy Bank require the use of routing number. The Amegy Bank routing number is: 113011258. Finding Amegy Bank routing number on your check is easy. 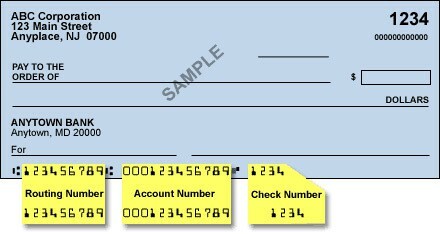 The sample check image below shows you where to find your bank routing number at the bottom of the check. In today banking world, wire transfer provides a quick way of receiving and sending funds in Amegy Bank account. Amegy Bank customers are able to send and receive both Domestic and International wire transfers. Domestic wire transfers in Amegy Bank are available via its Online Banking platform. However, to make international wire transfers you must visit one of the Amegy Bank’s banking center location or get in touch with Central Wires Department. SWIFT Code plays an essential role when expecting to receive any international wire transfer. To initiate the transfer process, give the sending financial institution the necessary information. Domestic wire transfers ensure transactions are cleared within 24 hours. To receive funds via domestic wire transfer, provide the sender with your bank account details shown below. Through Amegy Bank, customers are able to receive international wire transfers once the international wire transfers provide your bank information. Below is the necessary information. International and domestic Wire Transfer fees in Amegy Bank vary depending on incoming or outgoing transactions. International Wire Transfers – $15 for each incoming transaction and $55 for each outgoing transaction. Domestic Wire Transfers – $13 for each incoming transaction and $17 for each outgoing transaction.